Nokia is presenting its new model, Lumia 630 which is loaded with gorgeous features that delivers faster processing with uncompromising performance. 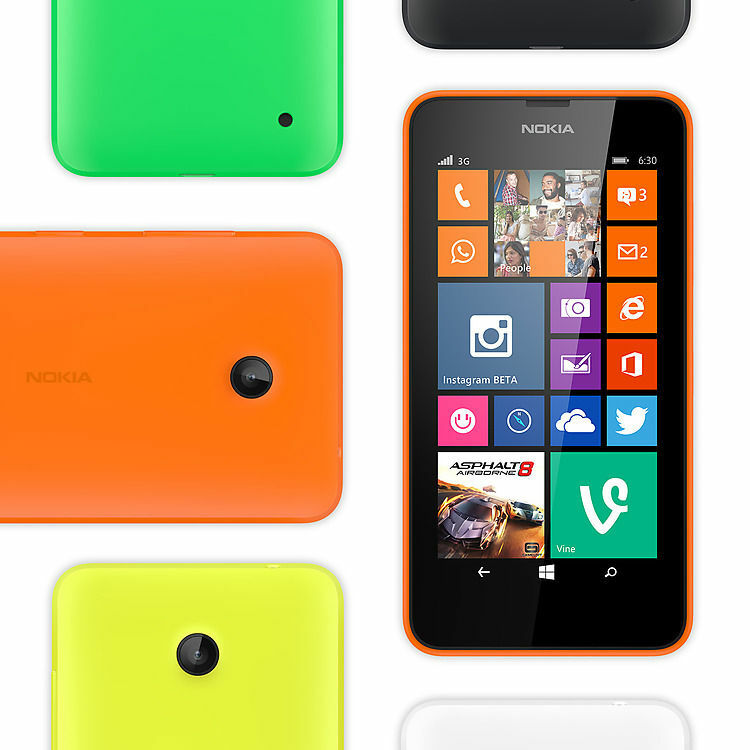 Now give a more personalised and colorful look to your Nokia Lumia 630 with easy swap shells. It enables you to choose from a variety of vibrant colors which suits with your mood and style. You will never get bored only with one color on the start-screen, all you need to do is change the phone's Live Tiles. The phone has 4.5 Inches IPS, LCD Capacitive touchscreen, it enables you to view pictures, videos and read e-books easily. A FWVGA resolution of 854×480 Pixels and Color density of 221 ppi let you see every detail clearly on the screen. 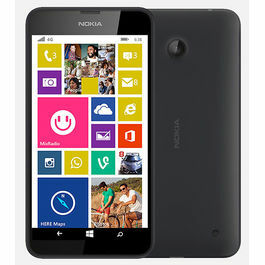 Nokia Lumia 630's touchscreen is equipped with Corning Gorilla Glass 3 and Lumia Color Profile. 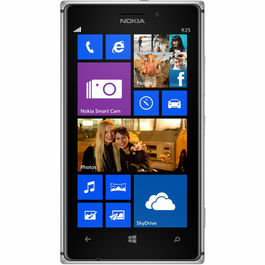 Nokia is introducing the best Window phone with its powerful Windows Phone Operating System. It enables typing by swiping with word flow which is the fastest keyboard around. You can see all your social updates, chats and settings just in one swipe with the all-new action centre. The phone has Quad-core 1.2Ghz, Snapdragon 400 Processor which runs very smoothly while playing games and lots more. The 512 MB RAM facilitated to store various apps and games and enables an easy processing. Stay connected to your friends and stay updated with the latest happenings around the world as Nokia Lumia 630 supports Wi-Fi. Sharing of data is possible through USB and Bluetooth. It is a Single SIM phone. 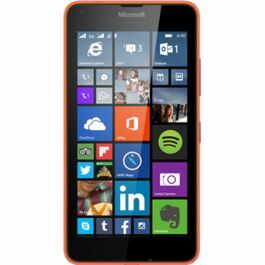 Nokia Lumia 630 comes with many pre-installed apps and when you get started there are many more which are available on Windows Phone store. You can enjoy new word flow keyboard, WeChat, WhatsApp, Line, and lots other apps. All you need to do is just go to store, download them and have unlimited fun. Coming with preinstalled HERE Maps, the phone makes sure that you will never feel alone, no matter where you are in world. The HERE app guides while driving in the car for-turn-by-turn voice guided directions. It let you know about all public transport mediums. Click beautiful pictures through the 5 MP rear camera which has Auto Focus and 4x digital zoom that gives a sharpness and clarity to the image. It has various modes like Cloudy, Incandescent, Fluorescent, Daylight, Automatic that sets as per the surroundings and gives the best result. 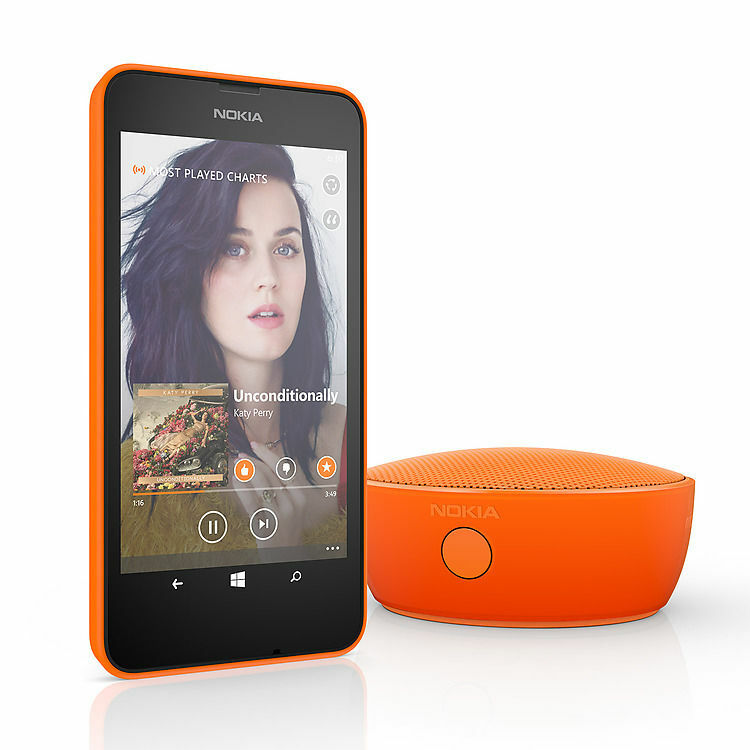 Nokia Lumia phones are a perfect treat for music lovers, it comes with pre-installed Nokia MixRadio. You can enjoy from one hundreds of regularly-updated mixes or can even customise the music experience. It facilitates to streamline the music at no additional cost and you can listen the tracks while being offline also. The phone has an internal memory of 8 GB which is expandable up to 128 GB so that you can store enormous amount of games, apps, videos and lots more. 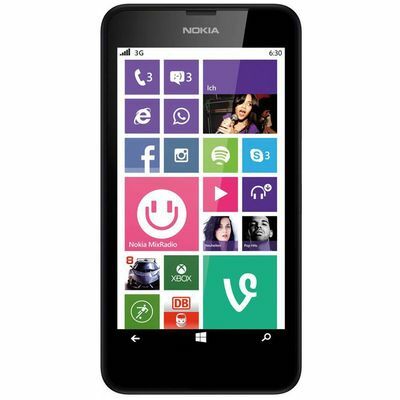 Nokia Lumia 630 has a BL-5H battery model that has capacity of 1830 mAh and runs on 3.7 V voltage. It gives a maximum Standby time of up to 25 days. Apple, Blackberry, Samsung, Micromax and more ! Infibeam features a range of smartphones and mobiles from almost all the popular and reputed brands. Nokia is presenting its new model, Lumia 630 which is loaded with gorgeous features that delivers faster processing with uncompromising performance. 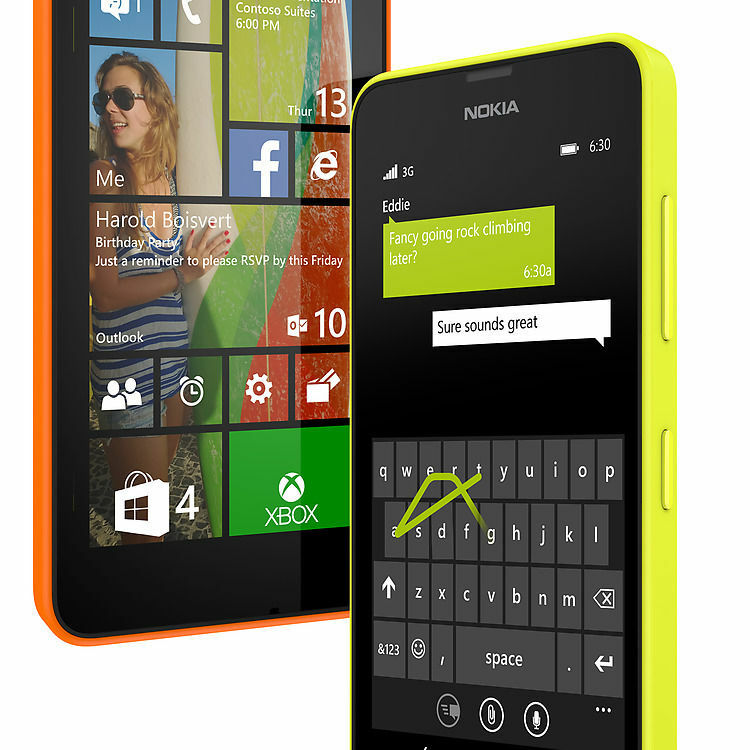 Spalsh On Some Color Now give a more personalised and colorful look to your Nokia Lumia 630 with easy swap shells. It enables you to choose from a variety of vibrant colors which suits with your mood and style. You will never get bored only with one color on the start-screen, all you need to do is change the phone's Live Tiles. Display The phone has 4.5 Inches IPS, LCD Capacitive touchscreen, it enables you to view pictures, videos and read e-books easily. A FWVGA resolution of 854×480 Pixels and Color density of 221 ppi let you see every detail clearly on the screen. 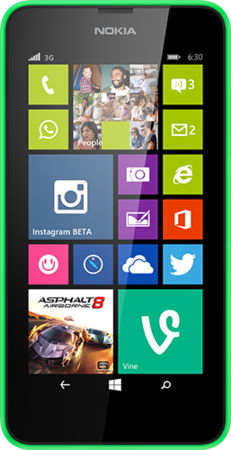 Nokia Lumia 630's touchscreen is equipped with Corning Gorilla Glass 3 and Lumia Color Profile. 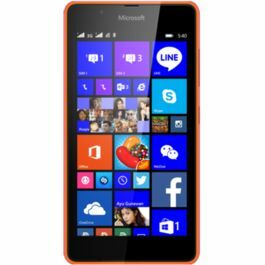 Latest Window Phone Features Built-In Nokia is introducing the best Window phone with its powerful Windows Phone Operating System. It enables typing by swiping with word flow which is the fastest keyboard around. You can see all your social updates, chats and settings just in one swipe with the all-new action centre. Processor The phone has Quad-core 1.2Ghz, Snapdragon 400 Processor which runs very smoothly while playing games and lots more. The 512 MB RAM facilitated to store various apps and games and enables an easy processing. Connectivity Stay connected to your friends and stay updated with the latest happenings around the world as Nokia Lumia 630 supports Wi-Fi. Sharing of data is possible through USB and Bluetooth. It is a Single SIM phone. 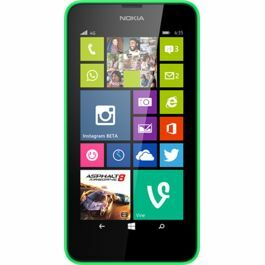 All the Apps You Need Nokia Lumia 630 comes with many pre-installed apps and when you get started there are many more which are available on Windows Phone store. You can enjoy new word flow keyboard, WeChat, WhatsApp, Line, and lots other apps. All you need to do is just go to store, download them and have unlimited fun. From Here To There To Anywhere Coming with preinstalled HERE Maps, the phone makes sure that you will never feel alone, no matter where you are in world. The HERE app guides while driving in the car for-turn-by-turn voice guided directions. It let you know about all public transport mediums. Camera Click beautiful pictures through the 5 MP rear camera which has Auto Focus and 4x digital zoom that gives a sharpness and clarity to the image. It has various modes like Cloudy, Incandescent, Fluorescent, Daylight, Automatic that sets as per the surroundings and gives the best result. Your Personal Radio Station Nokia Lumia phones are a perfect treat for music lovers, it comes with pre-installed Nokia MixRadio. You can enjoy from one hundreds of regularly-updated mixes or can even customise the music experience. It facilitates to streamline the music at no additional cost and you can listen the tracks while being offline also. Memory and Battery The phone has an internal memory of 8 GB which is expandable up to 128 GB so that you can store enormous amount of games, apps, videos and lots more. 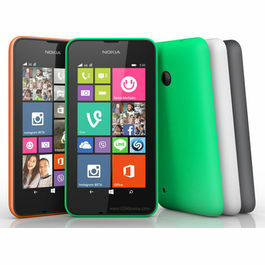 Nokia Lumia 630 has a BL-5H battery model that has capacity of 1830 mAh and runs on 3.7 V voltage. It gives a maximum Standby time of up to 25 days. Explore more on Nokia Lumia Mobiles. Check out other mobile phones with excellent features & technology.Apple, Blackberry, Samsung, Micromax and more ! Infibeam features a range of smartphones and mobiles from almost all the popular and reputed brands.